That looks amazing Linda! It reminds me of my favorite bread pudding 🙂 Thanks for the recipe, definitely going to have to try this one! Thanks for liking my recipes at sweetlyobsessed.com. This recipe looks delicious. 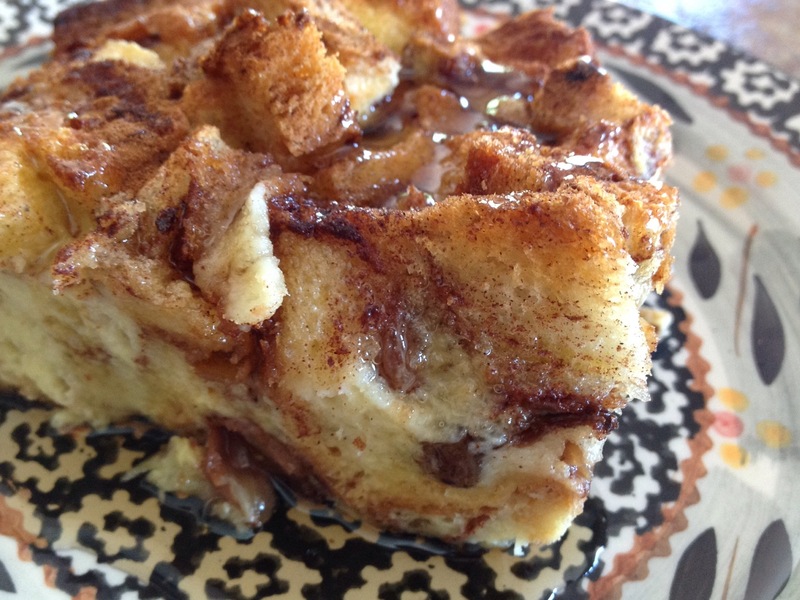 A must try with GF cinnamon bread. Thanks for sharing. Happy blogging. Hi. I’ve made this 3 times now and it’s always mushy except the edges. It seems like it’s not cooked all the way through, but when I did cook it longer once the edges were overcooked. I did let it set overnight, otherwise the top bread pieces wouldn’t have soaked up the egg mixture. Does anyone have any suggestions? Mine always cooks evenly… although, various ovens cook differently. A suggestion might be to tightly cover the dish with foil and bake. Take the foil off 15-20 minutes before total cook time is complete to brown up the top and sides. This looks amazingly yummy. Think I’ll try it on my grandson when he comes to visit next week. Thanks for the recipe and stops for stopping by my blog. That’s a bit like our bread and butter pudding, we sometimes dust it with nutmeg before cooking. One of my favourites. Reblogged this on Cheryl Moreo. This is great. Try it with the blueberry swirl bread too! Great idea! I’ve even tried it with the chocolate chip bread sold in some stores. It’s more of a dessert that I serve with a scoop of ice cream… thanks for the tip!